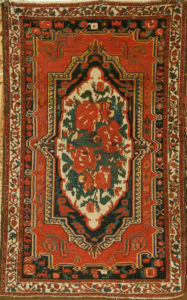 Sino Kashan rugs feature an elongated central medallion with a fully-covered field and corner curvaceous vines. 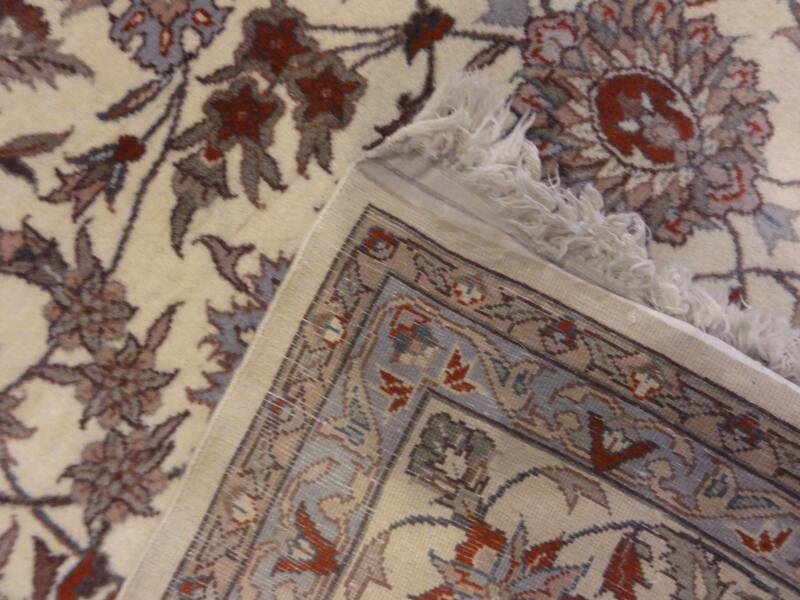 The colors tend to be bright, with fields of blue, red and ivory. 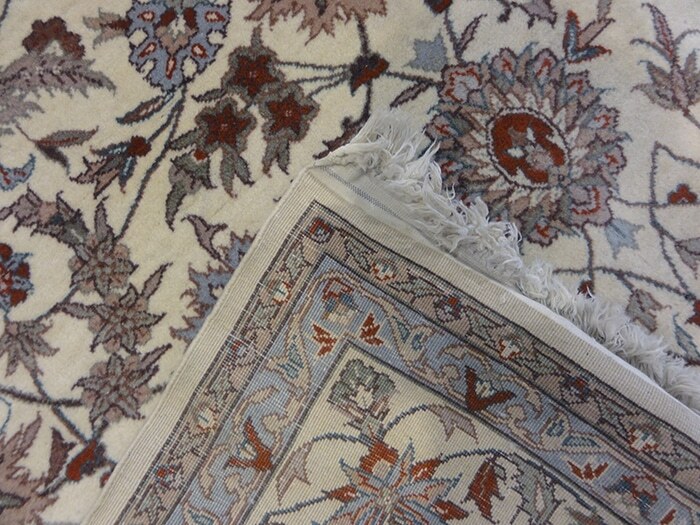 Sino Kashan rugs feature an elongated central medallion with a fully-covered field and corner curvaceous vines. 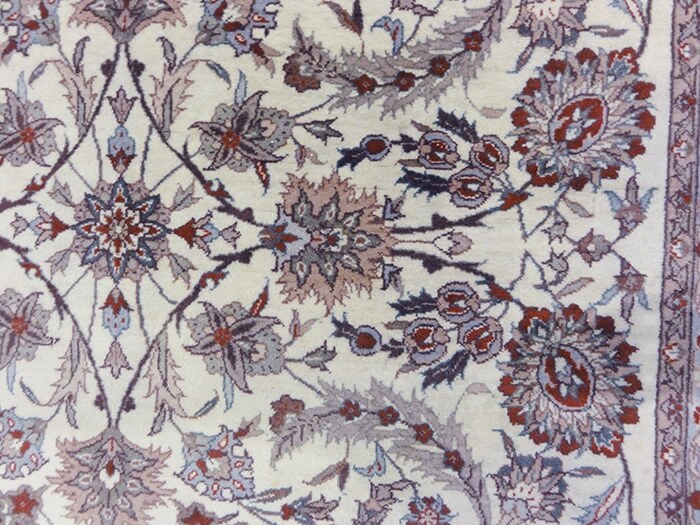 The colors tend to be bright, with fields of blue, red and ivory. 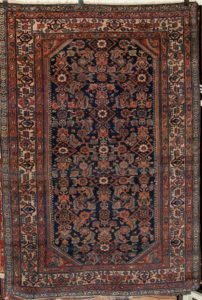 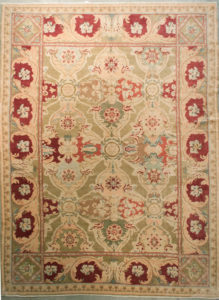 Bring softness and beauty to your room by placing this hand-knotted Oriental carpet in the center of your furnishings. 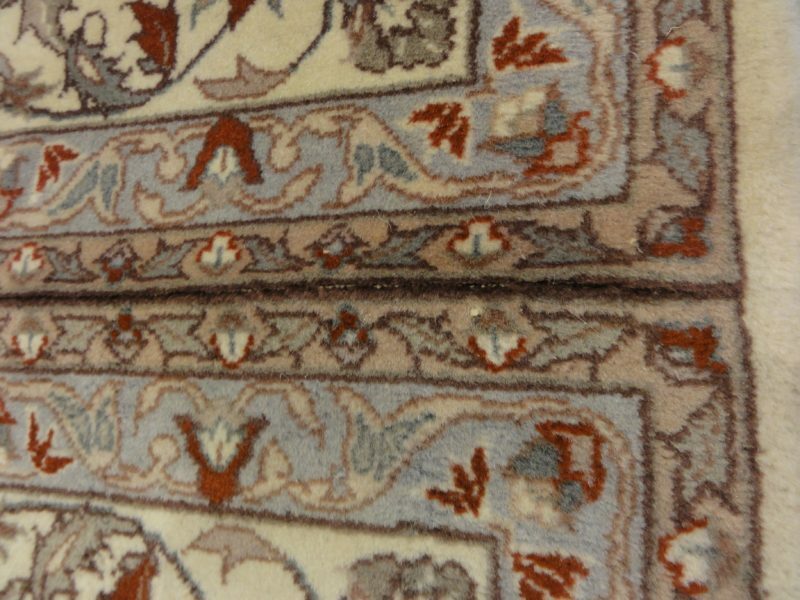 Made from wool for strength and quality, this rug features a traditional pattern that complements a range of home styles. 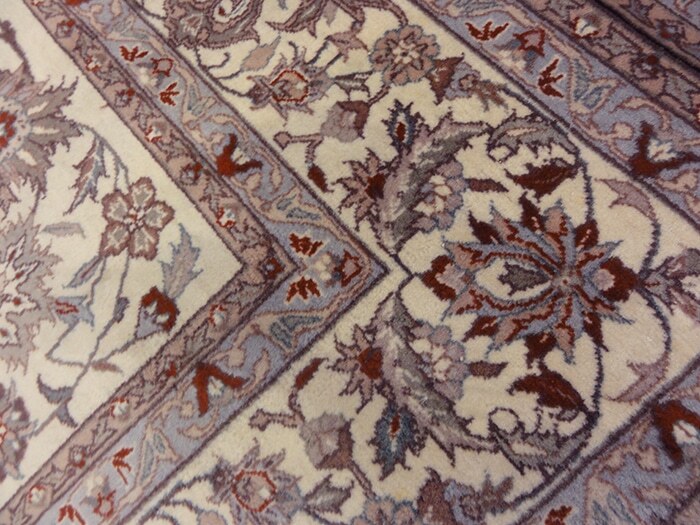 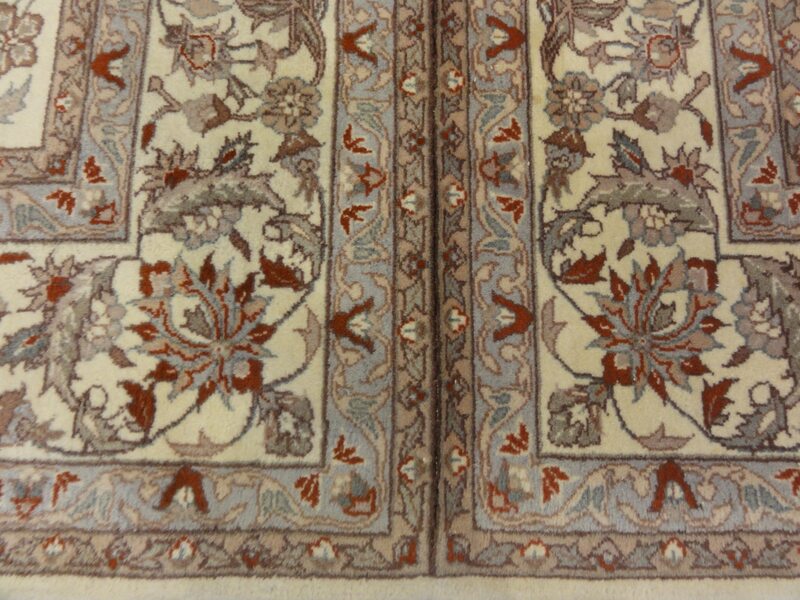 Rich colors and a decorative border enhance the beauty of this rug.